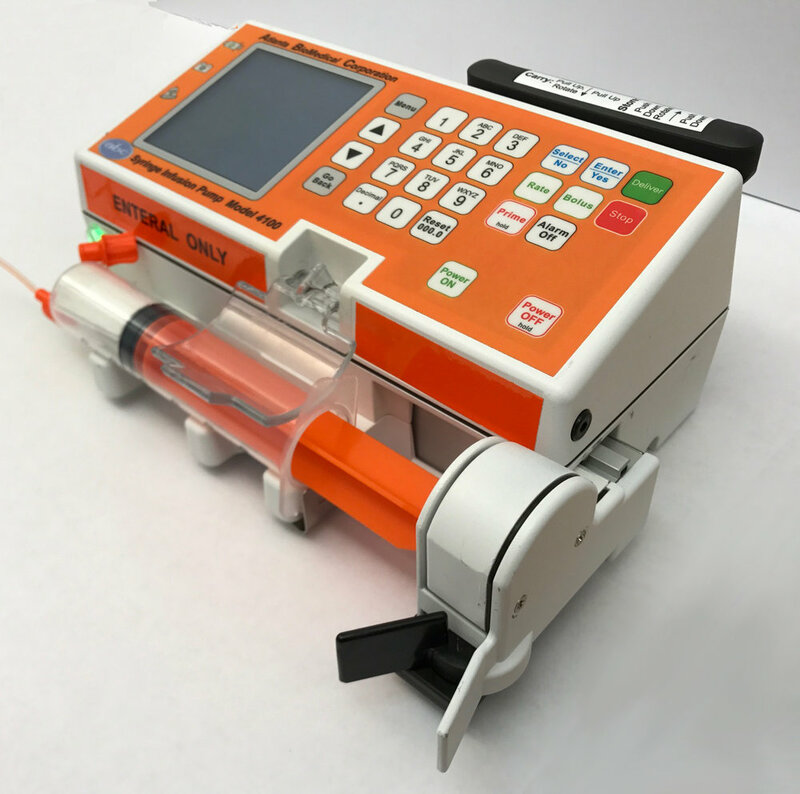 The ABC management team combined has more than 130 years of experience with syringe pumps in the medication delivery marketplace. Their experience extends throughout the history of syringe pumps including Auto-Syringe (Baxter), MedFusion (Smiths), and MiniMed (Medtronic). In 1984, Bill Arthur co-founded MedFusion while Charles Lee and Julius Stempfle were senior R&D executives at MedFusion (now Smiths Medical). 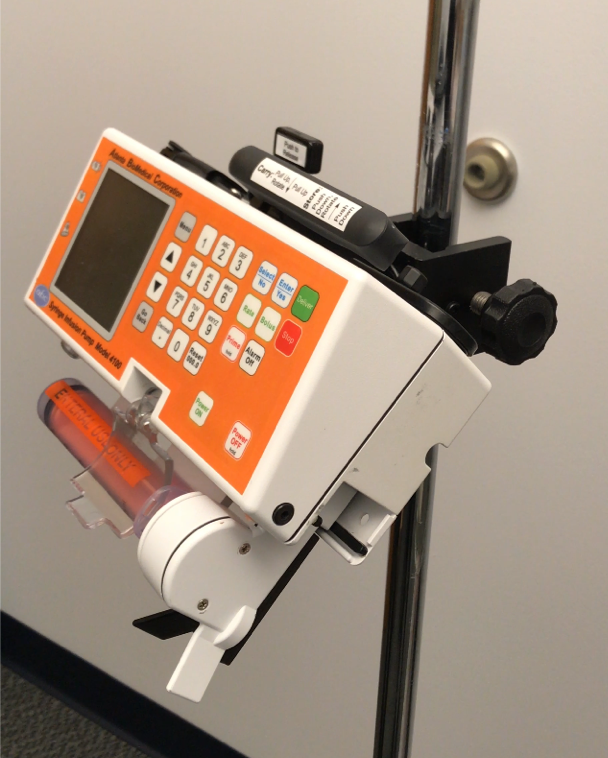 The ABC 4100 syringe infusion pump is the ideal solution for enteral feeds and IV deliveries with its durable metal housing, compact size, and minimum weight. Made in the USA. 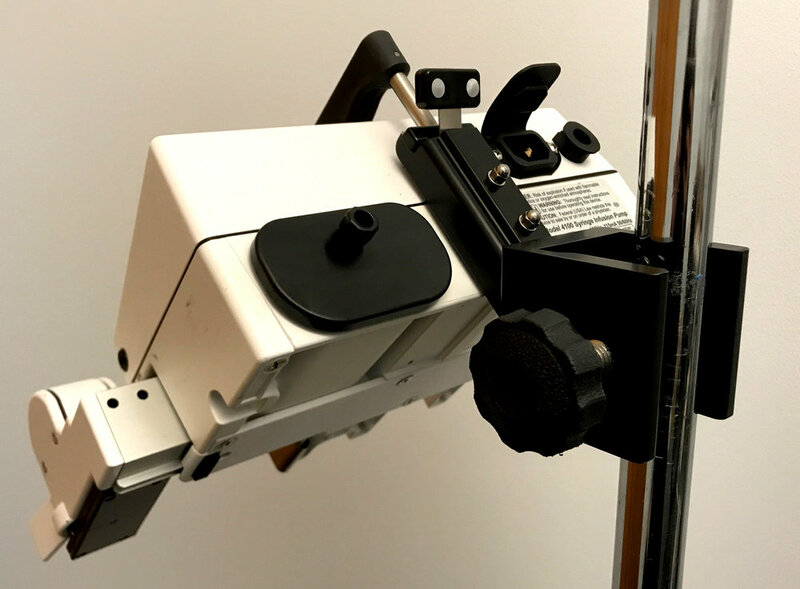 The ABC rotating pole clamp is the perfect accessory to complement the Model 4100 with its easy IV pole installation and 360° rotation that allows the syringe to face upward. Made in the USA. RPC size: 5.25" x 4.75"